Once again, I’ve been a shopaholic! 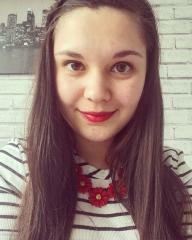 Yesterday after my 4-hour shift at work, I took advantage of it being quieter in the city centre and the fact that loads of my favourite shops have offers and added student discount on right now! 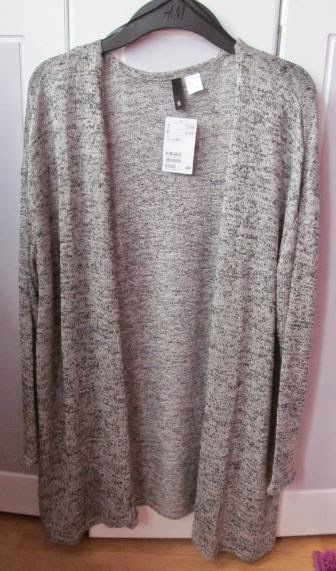 First up is this long grey cardi (£7.99). 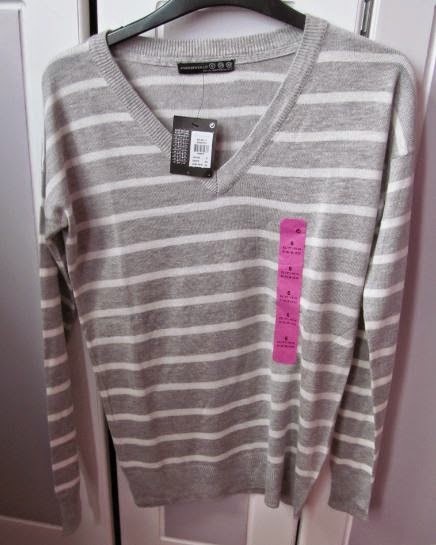 I have the same one in sheer white but thought grey would be more appropriate for autumn, I think this will go perfectly with a top and a skirt or jeans. 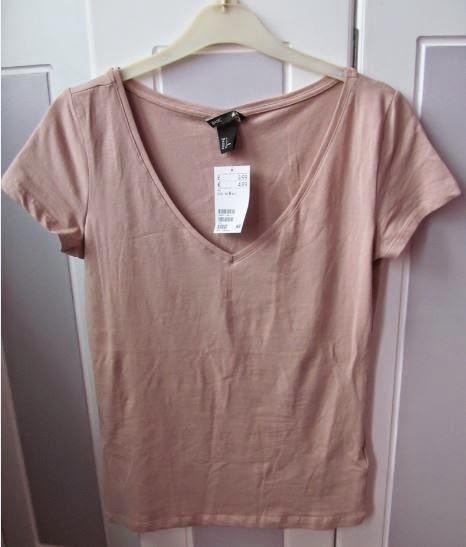 Next up is this pale pink V-neck t-shirt (£3.99) which I bought as I desperately needed to stock up on basics! I love the soft feel of this as well as the dusky pink colour. 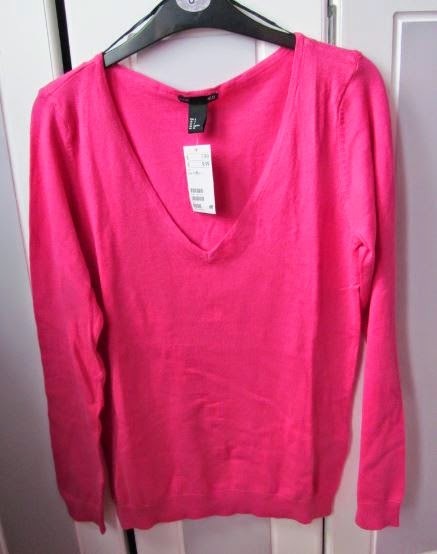 Finally in H&M, I bought this bright pink V-neck jumper (£7.99) (not available online); it comes in quite a few different colours and feels so soft! I prefer thin jumpers so I can layer! 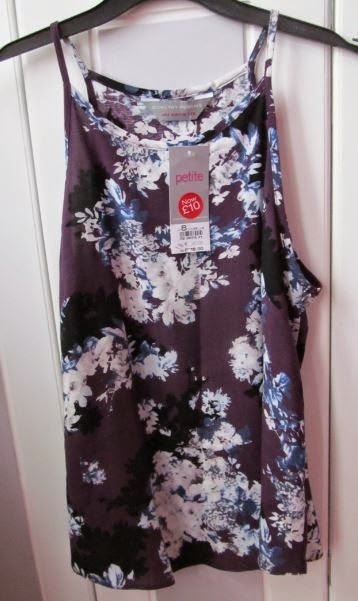 I never ever wear florals but the colour scheme of this vest (£10.00) (not available online) enticed me. I loved the deep purple mixed with the light blue, black and white. This will go great with my leather skirts. 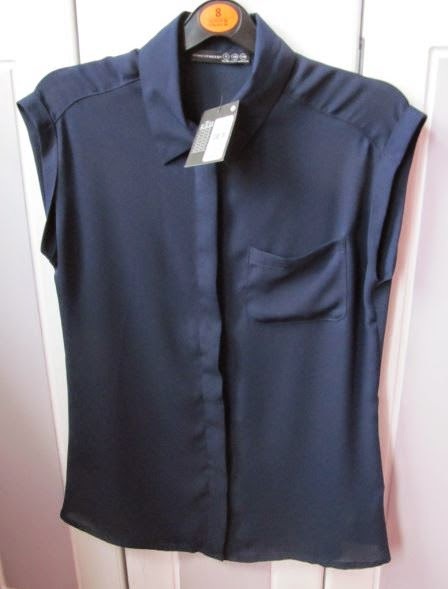 First, this navy shirt (£8.00) will be a staple in my wardrobe. I already own it in light grey and light blue so I needed a darker shade! 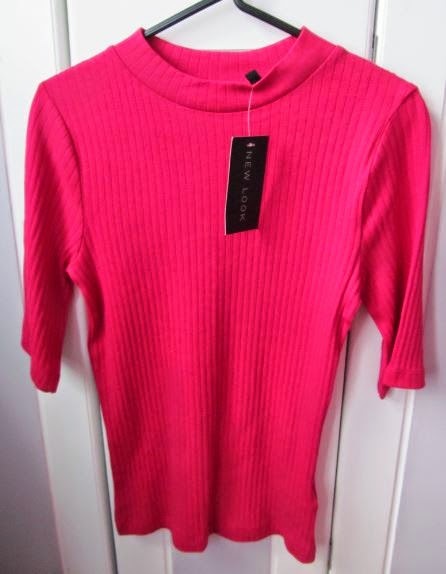 Next up are two amazing stripey jumpers (£6.00 each); I already have a navy and white striped one and I’ve worn it so many times! I love just throwing one on with a pair of jeans and flats and I’m good to go! Finally, is this hot pink lingerie (£2.50 bra, £1.70 knickers). I really don’t care if it’s cheap, Primark underwear is the best! It is the reason that I have this set in 4 different colours now! My boyfriend prefers this style to a more skimpy one so win win! 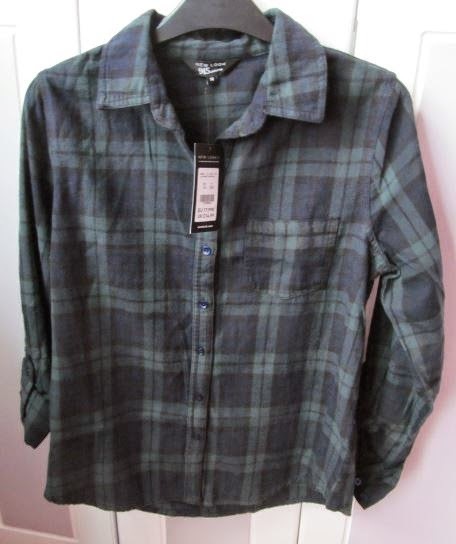 First up is this navy and dark green plaid shirt (£17.99) (adult version here). I bought the kids’ version because I’m tiny and like to save money when I can! It will be perfect to wear for uni with a pair of jeans. Next up is the top (£7.99) I’ve been trying to get my hands on for ages. 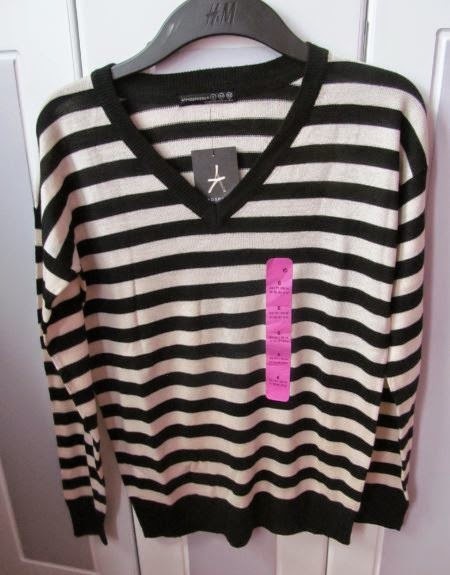 They sell it in black, white and a stripey version but they only had the pink one in my size. This top will go great with some skinny trousers and loafers. 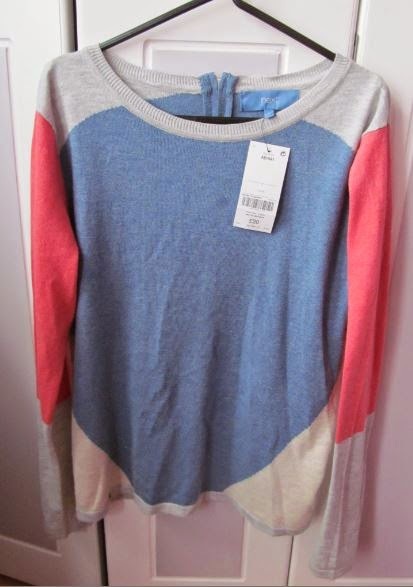 Finally, the jumper (£20.00) I’ve had my eye on for quite some time. It is the softest jumper I’ve ever felt and with it being from Next, I imagine it will wash well! I think I’ll be wearing this throughout winter too! So all in all, I did spend a fair bit of money. In my defence, I got student discount off most items and yesterday was pay day!